NEW YORK (WABC) -- It is hard to remember darker days in Giants franchise history. The team seems to have hit rock bottom several times this season and there are still seven games left. Despite all that, we now know Ben McAdoo isn't going anywhere - for now. Team owners John Mara and Steve Tisch released a statement Monday saying the coach has their full support. The statement said, in part, "Our performance this year, particularly the past two weeks, is inexcusable and frustrating. While we appreciate that our fans are unhappy with what has occurred, nobody is more upset than we are. Our plan is to do what we have always done, which is to not offer a running commentary on the season." The statement went onto say the front office will evaluate the 2017 season in its entirety at the end of the year. By doing so, they may be missing out on an opportunity to evaluate who will be with the team next season. McAdoo and GM Jerry Reese are likely on their way out. Reese has been given plenty of chances, but this may be the straw that breaks the camel's back. So the focus moves to the players, plenty of whom have big contracts and have underperformed. The last seven games without McAdoo would have given the Giants a chance to weed out who just doesn't have it anymore and who had given up on their head coach. 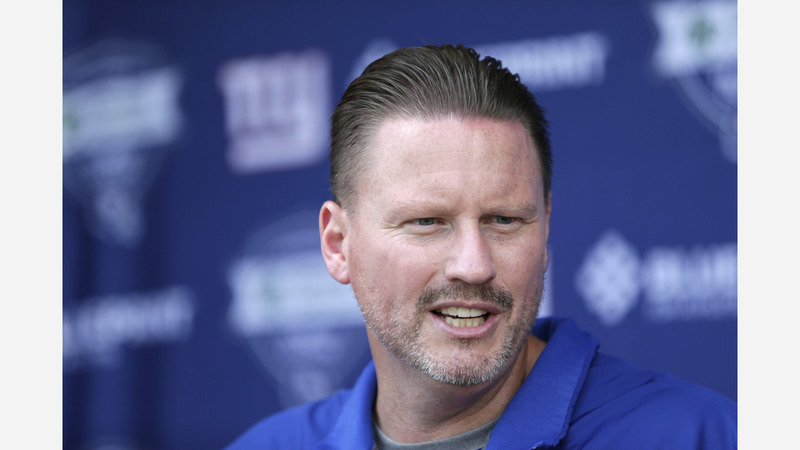 The players have stood behind McAdoo in recent weeks, despite their performance on the field and an anonymous report from ESPN last week saying that he had lost the locker room. "We love Coach McAdoo," said Geno Smith at a charity event Monday in New Jersey. "We appreciate the hard work he and the staff put in each and every week for us." So now, the Giants move forward with a lost season, a lame duck coach and more questions than answers.